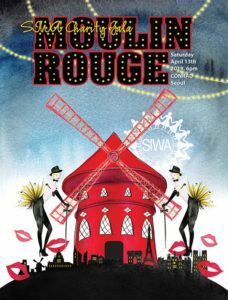 Join us for an exciting evening of exotic cocktails, sumptuous food, dazzling entertainment, raffle prizes, dancing and more at the Moulin Rouge themed Charity Gala 2019. The annual Charity Gala is SIWA’s second largest fundraising event with all net proceeds benefiting local Korean charities. Gala beneficiaries for tis year: Oak Tree Project, which provides a scholarship and one-on-one mentoring program for aged-out orphans entering college, Hamil School, a multicultural boarding school for low income families and Sunshine Drop-in Shelter, which provides a 24-hour open temporary shelter and support program for homeless men. No refunds permitted after March 31, 2019. View the SIWA Charity Gala 2018. Note: Early Bird Ticket sales has been extended until March 25th, so you still have time to purchase tickets at a discounted price!